Hagel's unique twisted mohair mecates. What once started out as a summer job for teenage Wyoming ranch cowgirl Sara Douglas has blossomed into a full-time business for Sara Hagel—an award-winning crafter of custom cowboy gear. Sara Hagel. Photo by Dian Hurd from Terrell, Texas. Back when she was merely 13 years old, Hagel (then Douglas) wanted a job. 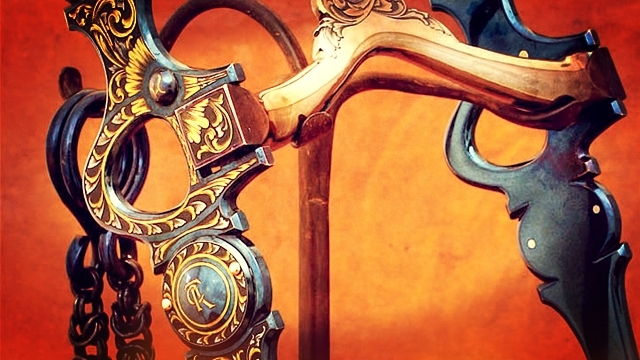 Her dad, accomplished saddle maker Bob Douglas, had boys that came and stayed a month or so during the summers, and one of them had watched a man from Nevada twist a rope (mecate). The boy tried his hand at it, and actually twisted one by the end of the summer. Then, her dad followed suit, but wasn’t that interested in it after he figured out how to do it. Meanwhile, her dad was also a horse trader and ran some cattle, exposing Hagel to many different horses and cowboys from an early age. “Dad and mom (Lee Douglas) were the first ones to sponsor a Ray Hunt clinic in Sheridan, and I rode in my first one when I was nine,” Hagel shared. 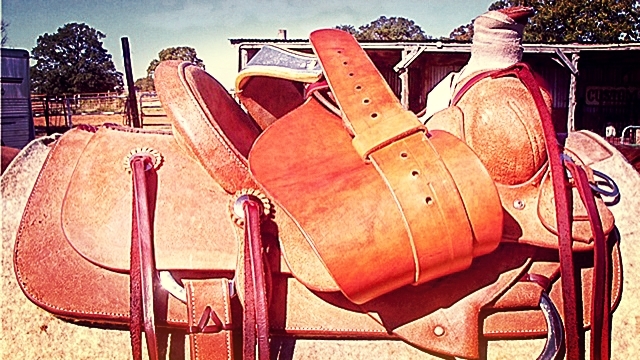 The consistent exposure to cowboy culture naturally branched her business into producing working gear like slobber straps, headstalls, and spur straps. “What I didn’t know, I asked dad. Sometimes he’d help, and sometimes he’d throw some gear at me and say, ‘Everything you need to know is right there,’” she laughed. The grit and determination it takes to be self-taught has served Hagel well. If you need it, she can probably make it. 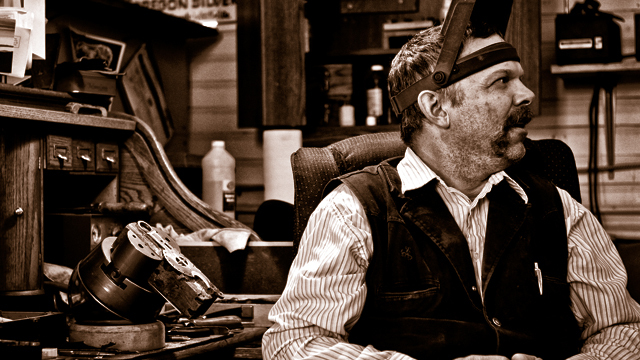 Currently, Hagel’s Cowboy Gear is a full-time operation in Dayton, Wyoming, that produces horsehair mecates and everything from chinks, headstalls, night latches, curb straps and hobbles to magnificent purses, pot-holders, hat accessories and adorable little leather infant moccasins. She credits long-time employee Shy Wulff for being a big part of production and success, as she does all of the hair prep work and quite a bit of leather work. Outside of the shop, Hagel still rides when she can and enjoys hitting the clinics to meet her clients. Husband Bob ranches, and 10-year-old daughter Maysa has a couple of ponies, rides with dad and grandma, and is showing an interest in the business. “She’s interested in the shop, and helps with the leather and horsehair,” Hagel said. 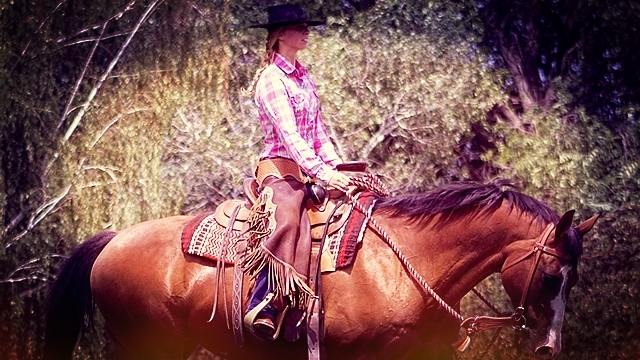 “She’s never had to ride a saddle that isn’t handmade, and neither did I until I was 18. I didn’t like it at all,” Hagel added. 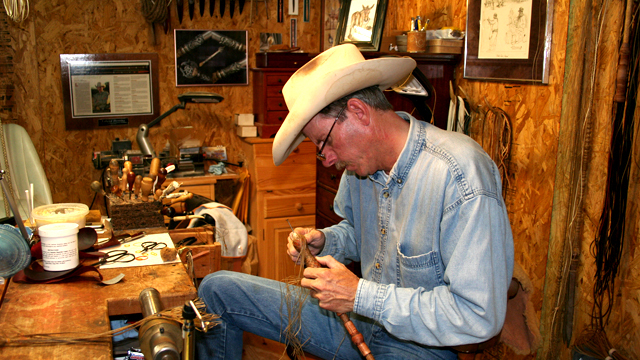 In addition to classic cowboy gear and accessories, Hagel produces a couple of rather unique items—horsehair cinches and mohair mecates. 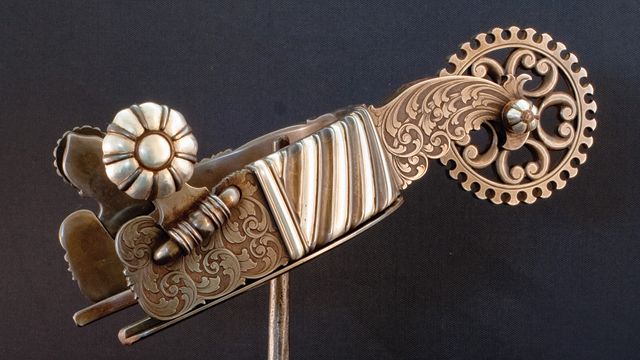 The horsehair cinches began as 1/2 scale models for 1/2 scale model saddles. Then, she made one for a Dale Harwood saddle. But generally, she only makes a few of these a year as they aren’t widely used. However, there’s one main trick to using them properly; you want to break them in during the winter, when the horse has a heavy coat. If not, things may get a little western against sleek summer hair. “You want that hair packed in the cinch for protection against the prickles until they wear off,” she warned. 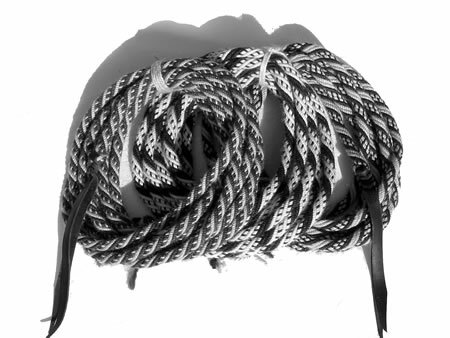 But just like a horsehair mecate, the cinch will wear smooth with use. Also similar, you don’t want to wash one unless it is muddy, and then only with a light soap or Woolite. Possibly the most unique of her creations are mohair mecates. To her knowledge, her business is the only one that currently produces them. The legendary rope makers Blind Sam Champlin and Blind Bob Mills used to make them, and she owns the last of Blind Bob’s equipment which greatly aids production. Mohair mecates have some advantages over horsehair mecates, including no prickles, greater durability, and less expense. “There’s not as much demand for them, but they are a great entry-level way to see what a twisted natural fiber mecate is like. People can start with this without investing a ton of money, but get a feel for the set-up before going to mane hair,” Hagel explained. However, know that they are tougher to care for, and Hagel suggests anyone with questions contact her regarding the detailed process. Overall, her favorite item to produce continues to be the horsehair mecate. She still prefers to “twist the ropes” and they’re still the most demanded item. Last year alone, she built over 100 ropes. 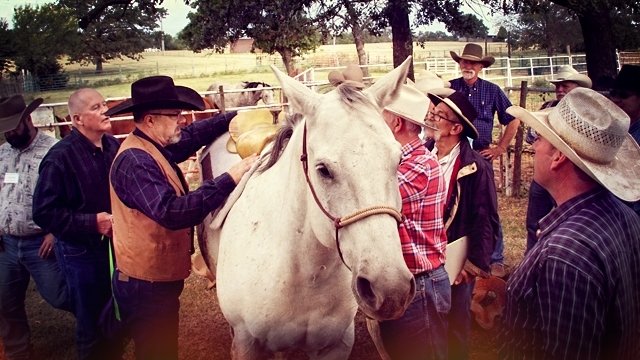 Clients include working cowboys, natural horsemanship folks, and of course clinicians—including Buck Brannaman, Paul Dietz, Brad Cameron, Tom Curtain, Brent Graef, Wendy Murdoch, Linda Hoover, Bryan Neubert, Ray Hunt and Greg Eliel to name a few. King’s Saddlery Museum in Sheridan also has some, as do artists Ian Tyson, Buckeye Blake, and the late Western artist Joe Beeler. 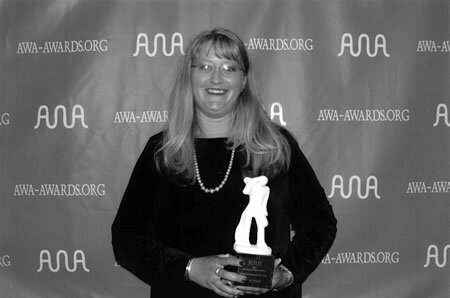 In 2005, she received the prestigious Hitcher/Braider of the Year award from the Academy of Western Artists. There are no plans for the business to slow down. In fact, she’s working on some booklets about cleaning tack, chaps and ropes—time-consuming considering she is testing all of the cleaning products and processes herself before recommending them. And, she’s also started on a few saddles. “I’ll continue with everything, because each one gets better than the last,” she said. “My favorite aspect is to see people use and enjoy what I make. It’s nice to know they appreciate it enough to hang it as art, but personally I like to see it used. The mane hair ropes get prettier with use. The prickles wear off, the pattern pops, and there’s nothing prettier,” she added. For further information, or to view and order products, visit her Web site at www.mecates.com. Her items can also be seen each year at Trappings of Texas in Alpine, Texas.